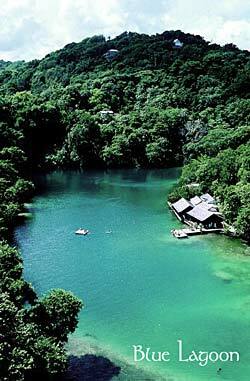 Port Antonio - Jamaica. Moon San Villa is a five bedroom, five bath villa with two dining rooms, two decks , living room/TV , small library and cable TV in every room. 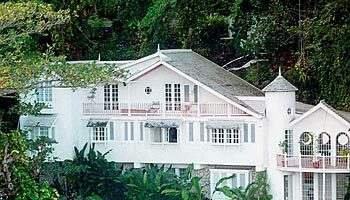 All five bedrooms are decorated in Caribbean style and colors. 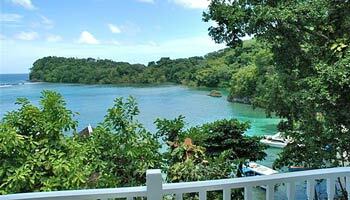 The villa is one hundred feet from the ocean and seven miles from Port Antonio, and has two decks overlooking the Caribbean Sea. Approximately three hundred feet from Moon San is the entrance to the world famous Blue Lagoon. The Lagoon is a blend of spring and salt water both cold and warm, which makes swimming a whole new experience. Living Room with Cable TV, DVD Player and Stereo. The Moon Room. Ideal for your private breakfast and dinner. 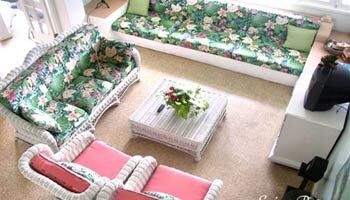 Three bedrooms are overlooking the ocean and one is surrounded by tropical plants. 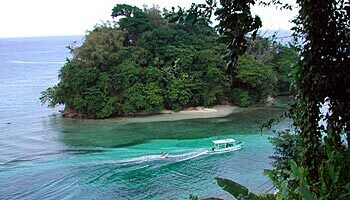 Port Antonio is considered the best kept secret in Jamaica for its natural beauty. 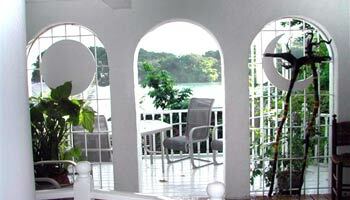 We can assist you in experiencing the best excursions on the island. 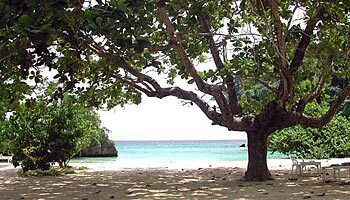 Free pass to Frenchmans Cove Beach, one of the most beautiful beaches in the world. Reach Falls. Try this unique experience, Just 25 min drive of your Villa. 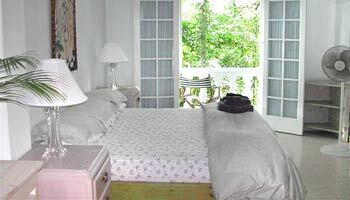 Moon San can be rented out by bedroom or you can rent all 5-bedrooms, the whole villa. from Kingston Airport to Moon San Villa. Maximum 10 persons.